Recently an American Airlines named 'Delta Airlines' flights had been late and some of the flights had been suspended also. Although the root cause of the incident is not yet clear, but this may due to the glitch of the airlines system. On Jan. 3, cybercriminals on a darknet black market run by Chinese state hackers published an advertisement for information and vulnerabilities in a long list of major airlines that included Delta Airlines, United Airlines, Japan Airlines, FedEx, and others. The Babylon APT marketplace is run by Chinese military hackers who use it to resell information and access to critical networks after finishing contract cyberattacks under the Chinese regime. "Chinese Military hackers selling Vulnerabilities"
The darknet is a large section of the Internet only accessible using specialized software, and while it has many benign uses it is also home to several black markets. 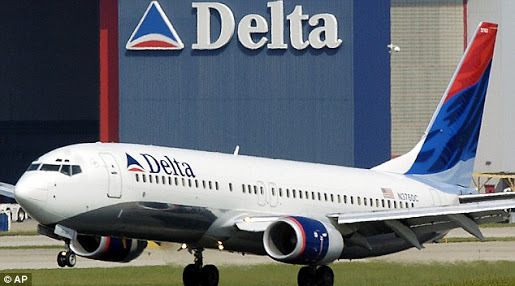 Ed Alexander, who runs the world’s largest known team of darknet cybercrime undercover investigators had send the screenshot of the post to media weeks ago, along with the full list of airlines included Delta Airlines. Alexander mentioned that the current outage of the flights may not be relate with the sale of vulnerabilities, but hackers certainly have some level of access into there systems.